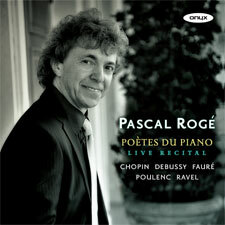 Pascal Rogè is today's greatest ambassador and stylist in French piano music. Winner of two Gramophone Awards, his name has been synonymous for many years with the finest french piano-playing, both in concert and on disc. This live recital recording captures the magic of his playing, and is the first time he has recorded the music of Chopin.